rapidly evolving commercial space industry. degree-level programs in engineering, business and social sciences. private-sector pioneers, will serve as faculty members and lecturers. finance, policy, management, technology and entrepreneurship. institutions, such as The Ohio State University. 12, 2019, at the world-renowned Kennedy Space Center Visitor Complex. scientists, engineers, investors and enthusiasts. 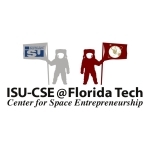 To apply for the program, interested participants should visit https://isucse.fit.edu/. notified on a rolling basis up to May 6.
and accelerators for space start-up companies. mathematics, psychology, education and communication. Learn more at www.fit.edu.